I’ve been homeschooling for many years, more than a dozen in fact, but I still have days of discouragement and doubt. Sometimes, I still feel like I have no idea what I’m doing. Insecurities creep in and I second-guess myself. The words I tell you today are the truth. They are what I need to hear and want you to hear it too. You know your kids best. Those little (and not so little) critters running around? 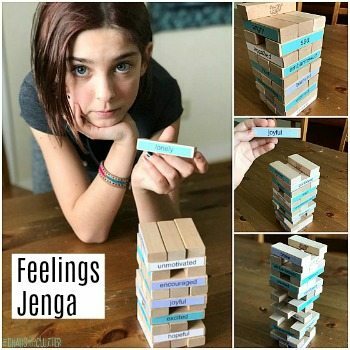 You know their moods, their hearts, their triggers, their facial expressions, their fears, their dreams, what works for them and what doesn’t. You love them enough to put in the time to figure out how they learn best. You are best equipped to teach them just by virtue of the depth of your knowledge of them. Every family is unique. Looking from the outside in, it may seem as if another homeschool family has it all together. You may want to try to emulate what you see them doing but what works for them may not be a good fit for your family. You also aren’t seeing them on their bad days! Since you know your family best, you can best determine what will work for you. This may take trial and error and may need to change in certain seasons of your life. There are times when even halfway through the year, you may need to change your curriculum or your plans or even your entire homeschool method if you find it’s not working for you. It’s ok to admit that something isn’t working and try something else. After all, you know your kids best! 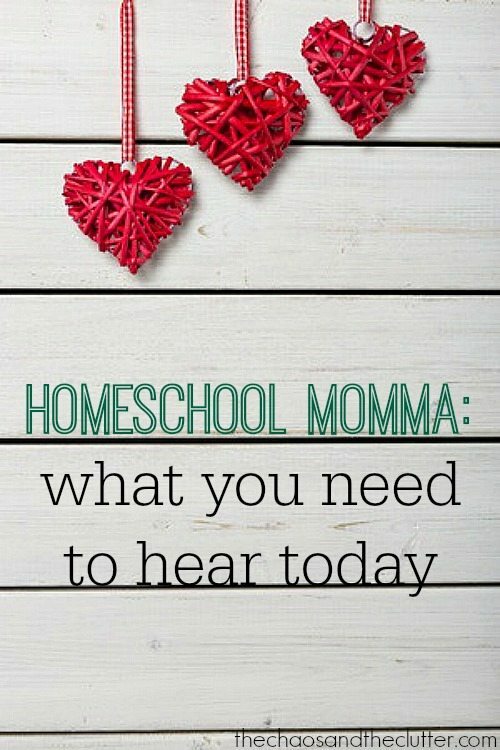 I started as a very “school-at-home” type of homeschooler and then after two or three years swung over towards the unschooling side, which was a wonderful fit for my disorganized self and for the two sons that were school-age at the time. Fast forward a few years to when some of our younger, special needs children were school-age and attempting to unschool was a disaster. What had worked for years with their brothers was now stressful and painful. 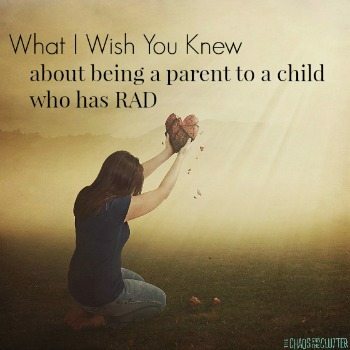 I had to re-evaluate and I came to admit that my special needs kids needed more structure, plenty of brain breaks, and more sensory opportunities. Change was hard but worth it. You don’t have to get it all done today. You have until your child is 18 or older to teach them everything you think they need to know. You don’t need to tackle algebra when they’re six or even worry about how you’re going to tackle it later. Concentrate on today. Teach them one thing and then another and then another. Eventually, it all adds up to be many things. Some days it’s ok to throw your plans out the window. There are days. You know the kind of days I mean…days when no matter what you try to do, things are not going to go as planned and kids are going to whine and moms are going to yell or lock themselves in the bathroom. Those days, sometimes it’s just best to throw the plans out and spend the day cuddling on the couch or enjoying the unseasonably warm weather. A spontaneous field trip or treat may be just what’s needed to turn things around. There are hard days, but it is a privilege to homeschool because you get to be there to witness the little things, the a-ha moment, the light in their eyes when they master a new skill, the hug in the middle of the day for no apparent reason, the no-small-miracle of siblings getting along. Take the time to soak it in. They grow up so quickly. People used to tell me that and I swept it aside in my mind until they were right and my oldest was grown and gone. Now I know all too well how true it is and I am trying to do a better job of savouring the time with my younger ones. You will always feel behind but as long as your child knows that they are loved by you and by God and is learning something, anything, you are succeeding. I know that there are days when you might look longingly at the big yellow bus and wish your kids were on it because it’s hard and exhausting (I have those days still), but when the breakthroughs come and you see your child’s face light up because they grasp a new concept or created something themselves, think of what you would have missed if they had been on that bus. You have the privilege of this time with them. It’s time you’ll never get back. It’s a gift. Give hugs liberally. Teach them to love books. Show them God’s love. Be in the moment. Appreciate them. Let them see you help others. Be willing to change. Apologize for your mistakes. Get to know them more every day. Treasure it. Give yourself grace. 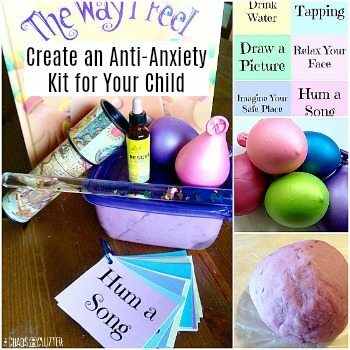 Follow Sharla Kostelyk’s board Homeschool Encouragement on Pinterest. I think homeschoolers have too high an expectation of themselves, so it’s easy to be disappointed when things are normal rather than extraordinarily productive. If we adjust our expectations to something more reasonable, we are more likely to feel successful! Oh yes! DO homeschooling moms ever need to hear these statements. Throwing the plans out the window?! Absolutely! Some days we need to do that and there’s a richness that comes from the freedom that results and the experiences that we end up having instead. I’ve been homeschooling 23 years and you are correct on every point! We do need to stop comparing ourselves and our children with what we ‘think’ everyone else is doing better.